Is the Hand is Part of the Ball? Q4: Is hand considered part of the ball? 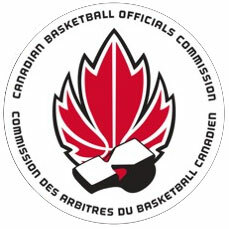 I have been told by multiple officials that, in situations such as when a the ball handler is dribbling with a hand on top of the ball, holding the ball with both hands while standing or on a shot attempt, if the contact initiated by defense, violates the cylinder of offense, hitting the hand of the ball handler, is not a foul since the hand is considered part of the ball. Is this interpretation correct? 34.1.1 A personal foul is a player’s illegal contact with an opponent, whether the ball is live or dead. A player shall not hold, block, push, charge, trip or impede the progress of an opponent by extending his hand, arm, elbow, shoulder, hip, leg, knee or foot, nor by bending his body into an 'abnormal' position (outside his cylinder), nor shall he indulge in any rough or violent play. There is no exclusion for hand to hand contact when the offensive player's hand is in contact with the ball. In fact, a couple of years ago, FIBA introduced a new signal to cover this infraction called "Illegal Contact to the Hand." See page 65 in the FIBA rulebook.